The costs of owning a communal swimming pool in Cyprus are escalating as authorities tighten up the enforcement of regulations seemingly designed for hotels and tourist complexes. A LONG-IGNORED law passed in 1992, which designates all shared swimming pools as subject to the same strict regulations as public pools, is coming back to haunt property owners and developers in Paphos. The law stipulates that pools shared by more than one family are classed as public swimming pools and therefore must comply with specific regulations such as providing a lifeguard, separate male and female toilets, showers and footbaths. Aware that complying with the regulations would entail a massive increase in communal charges for hundreds of property owners and make buying in complexes with shared pools far less attractive, local authorities have long turned a blind eye to enforcing them. Not any longer, however. Municipalities have now been put under pressure by the Interior Ministry to demand companies provide them with all the necessary documents to prove they have complied with the regulations before they can issue an operating licence. Perhaps even worse is that without this operating licence, a housing complex will not be issued a completion certificate and thus no Title Deeds. Developers, individual property owners and local municipalities alike are now desperately trying to press the Ministry of the Interior to change the law, which they believe hammers another nail into the coffin of the property market. Peyia has a large population of British residents as well as locals, many of whom own property with a shared swimming pool. A report in 2008 listed a whopping 49 pools in Peyia which are classed as public pools, only seven of which have permits. 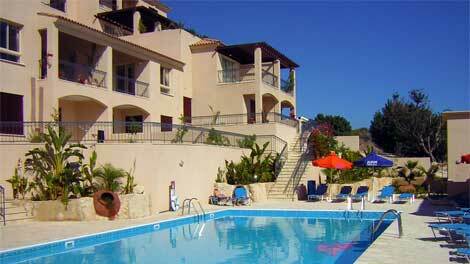 In Paphos generally there are 267 of which only 54 are licensed. “This is a really big headache, and I have been in contact with the permanent secretary of the Ministry of the Interior, Lazaros Savvides, since 2007. But I have yet to hear anything back from them,” said Peyia councillor Linda Leblanc. Leblanc said she had received many complaints over final completion certificates concerning properties in Peyia municipality. Most are from buyers who live in complexes with a shared swimming pool and who are being denied certificates by local authorities on the grounds that their pools do not fulfil the requirements of the ‘public swimming pool’ as set out in the 1992 law. “There is confusion over what is interpreted as a public pool. Shared pools are for the use of resident owners and their guests and are not open to the general public,” she said. A spokesman for Vesta holidays, part of the Leptos group was particularly pessimistic. “This law is going to destroy the whole tourist and home purchasing industry of Paphos,” he said. He confirmed that the law states there are only two categories concerning swimming pools in Cyprus. It says that private pools are for the use of only one family and public pools cover absolutely everything else. “The law says that a private common pool is one used by more than one family and it comes under the umbrella of a public pool. The regulations say that we have to have a lifeguard, showers, toilets, new signs, footbaths, life buoys, oxygen bottles and so on,” he said. Connie Singleton is the chairman of the owners association of Margarita gardens in Kato Paphos, a Vesta-managed complex. “Our pool isn’t for the general public’s use. An outsider can’t use it. The pool is there for owners and their guests. In all these years, we’ve never had an accident or anything like that, and now we will have to employ a lifeguard. Leblanc said Peyia municipality was trying to give permits where it can as many people do not have Title Deeds. “In Peyia we check each individual case to see what was specified in the planning permit. If there is no specification recorded requiring conditions on the pool, we are giving approval so that completion certificates on the properties may be issued. This has been based on legal advice,” she said. But there are other problems concerning the thorny matter of the swimming pool legislation. According to the councillor, the law requires approval of a health inspector before approval may be granted by the planning authority. “Peyia doesn’t even have a health inspector,” she said. Peyia municipality has already sent out notices to pool owners and placed announcements regarding this law in newspapers. The Vesta spokesman said that although the Paphos municipality had so far “closed its eyes” to the regulations this period was coming to an end. “They have already given us many extensions, but there is now a time schedule which we have to comply with. Parliament needs to try and find a solution and change the law, or it will cripple us,” he said. Cyprus Law N.55(I)/92 paragraph 2 states that the term ‘public swimming pool’ also includes the swimming pools of buildings which are used by the owners of the units or their tenants. Regulation Number 368/96 paragraph 47 (1) states that all the employees relating to the swimming pool have to obtain a health certificate, to be clean and to behave properly. Regulation Number 368/96 paragraph 47(2) states that all the trained supervisors will be on duty during the operation and the use of the swimming pool. Their number is determined in accordance with the size of the swimming pool and the number of the persons usually using the swimming pool. Regulation Number 368/96 paragraph 47 (2)(a)(i) states that for small swimming pools at least one trained supervisor is necessary to be appointed. Regulation Number 368/96 Part VII paragraph 53 states that a license is needed for the operation of a swimming pool by applying to the relevant authority. The last decision is made by the Minister. In November 2005 Lakis Tofarides, the Chairman of the Land and Building Developers Association, suggested the following measures should be taken to alleviate the situation. “The swimming pools in apartment buildings and complexes to be considered private (not public) because the residents and their guests use them. At the same time, residents, in proportion to the number of persons living on the building/complex, could be trained as lifeguards. This means that if there are large families on the building, the number of persons to be trained would be decided accordingly”. “As far as public pools are concerned, the number of supervisory staff needed (lifeguards, etc) should be reduced”. In June 2007, the problems with the swimming pool laws were discussed with the Permanent Secretary of the Interior Ministry, Dr Lazaros Savvides, when Denis O’Hare, Linda LeBlanc and I met with him; we are still waiting for a reply. In August 2008 it was reported that the Cyprus Government was looking to change the swimming pool laws. However, it appears from today’s news that no progress has been made. Considering the downturn in property sales, it is surprising that the government is not doing more to encourage potential buyers to the island. Rather than enforcing the present laws, which add significantly to the costs of managing and running shared swimming pools in apartment buildings and complexes, surely it should be looking at ways to reduce costs? Perhaps Cyprus would be better off developing an industry that supported its people without bringing in large numbers of people who do not share its culture and ethics? As a property owner in Cyprus since 2006 I have been continually stunned by the lack of foresight in the government’s handling of property investors and their huge injections of cash into Cyprus’ economy. This issue over swimming pools is yet another where as the conclusion above suggests, the government needs to do all it can to stimulate interest in Cyprus as a long term holiday destination of choice. The government needs to make Cyprus as attractive as possible by minimising costs in investing, in taking better care of its land planning practises so the island is not littered with low quality half-built projects and in making Cyprus a welcoming and pleasant place to be both for short term and long term visitors who can bring great wealth to the country. I agree with Bill that pools belonging to private complexes should be classified as PRIVATE. The imposition of a lifeguard, a stranger, watching over us, is an intrusion into our privacy. Also, if I want to swim in our little pool at 7 in the morning, does a guard have to be there? Or does that mean I can’t swim until one arrives? This is bureaucracy gone mad. An insurance policy against injury could be a solution, but even that should be unnecessary. It is the people using these pools who have responsibility for their own safety, and that of their children. Our complex has a list of do’s and don’ts on the wall by the pool (as well as a sign on the gate which says PRIVATE) and that should be enough. Also, if you don’t want to use the shower room by the pool, you can simply pop back to your own. However, it will not be enough for all of us to share our opinions on a website. The Cypriot government will have to be lobbied direct. Google the Cypriot embassy in London and get in touch with them. If you don’t get an answer, don’t wait: contact them again and again, until they reply. Politeness (and please forgive me here as I’m stating the obvious), is paramount; and if my own experience with our developers is anything to go by, a formal but friendly touch goes a long way. We can also contact our developers to ask them what they know. There’s not much point in going through our MEPs because, as I’ve recently learned through an enquiry about the title deeds issue in Cyprus, it seems that all they can do is ask the relevant commissioners how the law stands and let you know. No teeth, it appears. Members of the EU have to comply with joint economic measures but individual countries adhere to their own laws. All new purchasers must be made aware of this new expense. I myself think the solution is make all pools private with insurance against injury failing that fill in all pools which will put off tourist which in turn will hurt the Cypriot economy and as we know if you hit Cyprus in the wallet a compromise will be reached. Is this an EU Directive, or an internal Law? If the latter then surely it can be amended? I share in such a development and as I don’t earn anywhere near â‚¬2,000 a month let alone pay it to employ a lifeguard. The best plan for owners is to get the developer to fill in the swimming pool and make it a tennis court! Come on developers – get working with your tenants not against them. Entrepreneurs looking for a new venture in Cyprus? Backfilling and landscaping swimming pools is a growth industry. Yet another way to deny your Title Deeds!